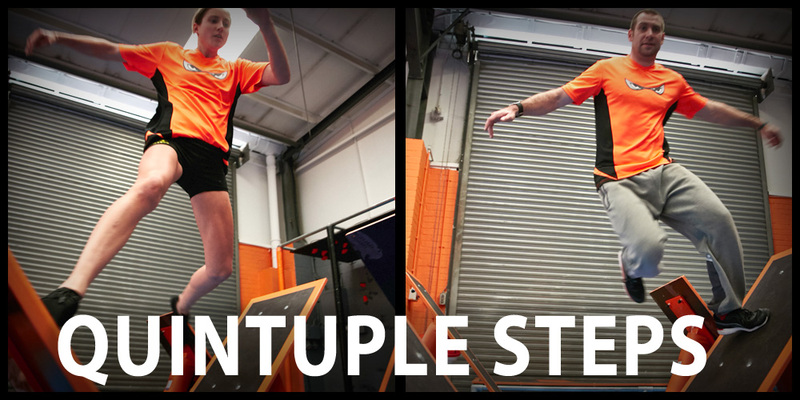 AT FIRST GLANCE THE QUINTUPLE STEPS MAY LOOK EASY… BUT SET AT A TRICKY 45-50° ANGLE, THERE’S A WHOLE LOT MORE TO TRIUMPHING OVER THEM THAN YOU MIGHT THINK! You’ll need to use all of your speed and agility to push yourself forward from step to step – and change direction. Whatever technique you choose to use, be sure you maintain grip and traction, otherwise you’ll fail! Use force - and grip!